It was the Major League Baseball play of the day — but the athlete wasn’t even on a team. 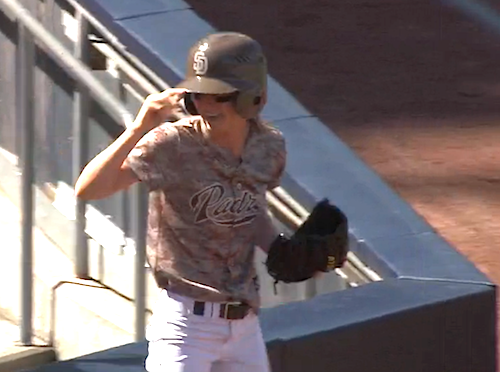 A San Diego Padres ball girl casually snatched a ripping foul ball out of the air before it could fly into the stands, then nonchalantly tossed it to a kid in the seats behind her. They replayed it over and over — to give Padres fans something to cheer about. Their team would go on to lose the game to the Philadelphia Phillies 5-3.